"Ang ganda nyo ngayon, Ma'am!" (you look beautiful today, Ma'am). Ronald was born blind. Together with his parents and five siblings, he grew up in a shanty in Manggahan Floodway, Pasig that was shattered by typhoon Ondoy in 2009. In the same year, they were relocated by ABS-CBN Foundation and National Housing Authority to BayaniJuan sa Southville 7 in Calauan, Laguna. His parents could not afford to send him to school but he never complained, "mabait na anak yang si Ronald, ayaw nya na maging pabigat sa amin ng tatay nya" (he is a good son. He doesn't want to be a burden to me and his father), said his mother. Despite his disability, Ronald makes sure that he is not a burden to his parents. He is delighted to help his mom in the household chores. When he learned from one of his friends that BayaniJuan partnered with the Technological Education and Skills Development Authority (TESDA) to conduct skills training in their area, he immediately grabbed the opportunity. Together with his mother, he went for the assessment. Beyond his disability, the TESDA officer who conducted the assessment and interview, saw his determination and decided to bend the policy of accepting high school graduates only and took him in. His delighted mother would painstakingly bring him to the training center everyday then entrust him to his classmates who volunteered to attend to him while in class. After a couple of weeks, it was already his classmates taking turns in getting him to the training center and bringing him home. Ronald was quick to say that he finished the course because of the kindness of the people around him. "Desidido sya na matuto. Napakabait na bata nyan...masiyahin. Yung mga kaklase nya, kaibigan nyang lahat. Ako daw ang unang 'Ma'am' nya dahil hindi sya nakapag-aral" (he is determined to learned. He is a good boy...a jolly person. He is friends with everyone in the class. He said that I am the first person he called â€˜Ma'am as he never had the chance to go to school ), Mrs. Burgos shares. During the TESDA graduation held recently in BayaniJuan, one can see the fondness of the TESDA trainers and his classmates to Ronald. He has the natural ability to make friends. He would extend his hand to anyone who would congratulate him, like he wanted to connect, then thank them profusely. He showed no signs of self-consciousness, only gratitude. "Nagpapasalamat po ako sa pagkakataon na binigay sa akin ng BayaniJuan at TESDA. Kahit po di ko nakikita, maganda talaga ang mundoâ€¦madaming mabubuting tao dito" (I am thankful for the opportunity given to me by BayaniJuan and TESDA. Though I do not see it, I know that the world is beautifulâ€¦there are a lot of kind people here), muses Ronald. Ronald is now earning by doing home service to people in the neighboring barangays. He is hopeful that one day he would find a permanent employer, "gusto ko po talagang may maitulong sa pamilya ko" (I really want to help my family). 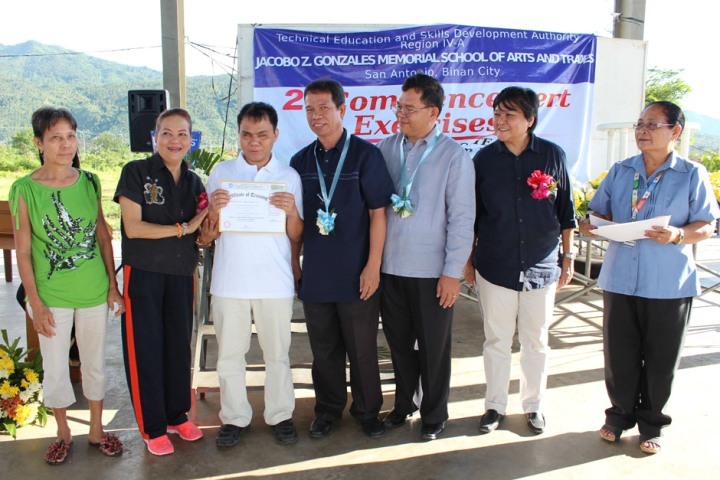 The TESDA trainings for the residents of BayaniJuan were conducted by trainers from the Jacobo Z. Gonzales Memorial School of Arts and Trades. 152 students successfully passed the training and received their certificates from the Mayor of Calauan herself, the Honorable Felisa Lim Berris. The partnership with TESDA is part of BayaniJuan's efforts to further the skills of its residents to increase their employability. 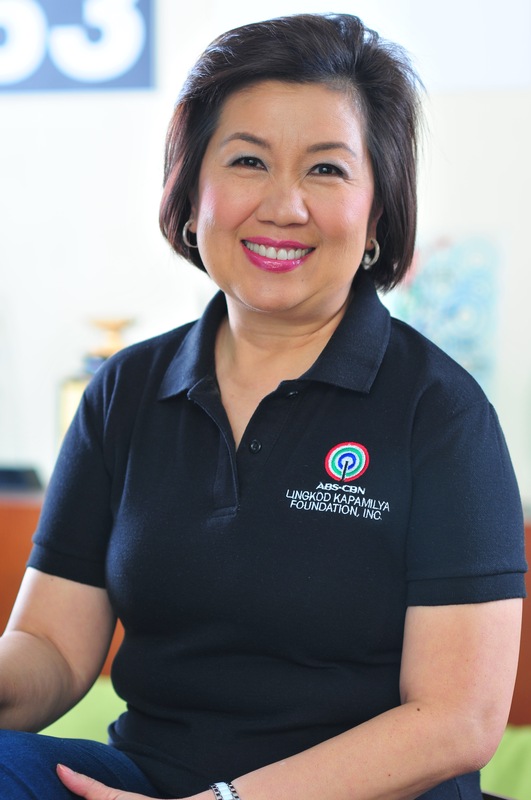 For more information, please visit www.abs-cbnfoundation.com or www.facebook.com/abscbnfoundationkapamilya.